Scanning through the 13 to 20 year old’s, there’s little surprise really at the double gold winners, the two 15’s and 18 are just superb brandies, fully worthy of DG status and spot on. Interesting to see the two 20 year olds only picking up golds, perhaps something in that adage that age isn’t everything when it comes to find Brandy! But great result none the less. The middle years look pretty spot on too, with no real suprises apart from Richelieu 10, time to try that one again for sure! 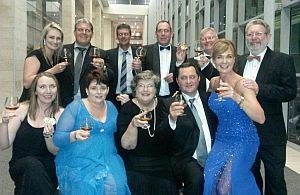 A great result for Ladismith 8 yo a worthy double gold recipient. Must say I’m disappointed that Kingna only got bronze, I’ve been a big fan for a while and certainly the latest updated blend deserved a silver or more in my book, especially in the thinly represented 5-8yo category. If there is one tiny concern though, it would be the jump in double gold awards from last year to this. From 7 last year to 12 this year, it’s almost twice as many. Naturally different judging panels will score things differently, and don’t get me wrong, I’m a huge fan of all the Double Gold winners. I just feel that as the standard of Cape Brandy gets better and better on the whole, there will always be those stand out few that are just on another level. Where to from here? Some form of best in class perhaps, for those with the highest points score per category? It will be interesting to watch! Here is the full winners list. G KWV 20 Year Pot still Brandy. G Van Ryns 20 year old Collectors Reserve. Here is a link to the official Veritas 2015 results list.